With ENTTO you can experience Ethiopia a land rich in history,culture and hospitality. Traveling to Ethiopia is an enriching experience whereby you will encounter an unforgettable land rich in history and culture dating some 3000 years. You will come face to face with monuments and ruins, thatched roof and rock-hewn churches and monolithic stelae, a vast array of landscape, more than 80 ethnic groups, mighty rivers and waterfalls, chain of rift valley lakes, unique flora and fauna all which leave you enchanted by Ethiopia. Ethiopia holds all combinations of geological formations from 116 meters below sea level at the sulfuric inferno Danakil depression in the Afar region to the ruggedly carved Simien Mountains at 4620 meters. The Rift Valley cuts Ethiopia in half forming several lakes which Ethiopia's national parks are centered. The varying habitats from mountains,lakes,deserts,savannahs and everything in between host a vast array of wildlife; many of which are endemic; unique to Ethiopia. Religion in this country is unique as well. Many visitors know Ethiopia for its rock hewn churches and colorful ceremonies symbolic of Ethiopia's Orthodox churches. Perhaps, best known are the Lalibella rock hewn churches often referred to as one of the Eight Wonders of the World. Islam also,is strong with centuries old roots in the country. The religion is ecspecially epitomized in the romantic walled city of Harar. One can see exquisite minarets and Mosques throughout most of the country. 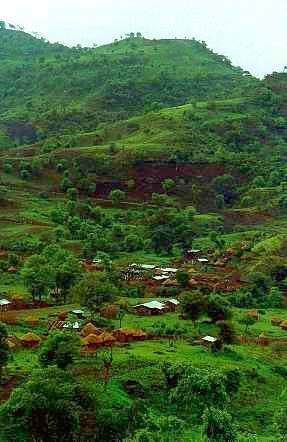 As you plan your trip to Ethiopia let ENTTO show you this land of beauty,history and hospitality. ENTTO can provide you with all your vacation package arrangements. >ENTTO can provide conference room,equipment like overhead projector etc., from five star to three star hotel,and ground transportation for domestic or international conferences.